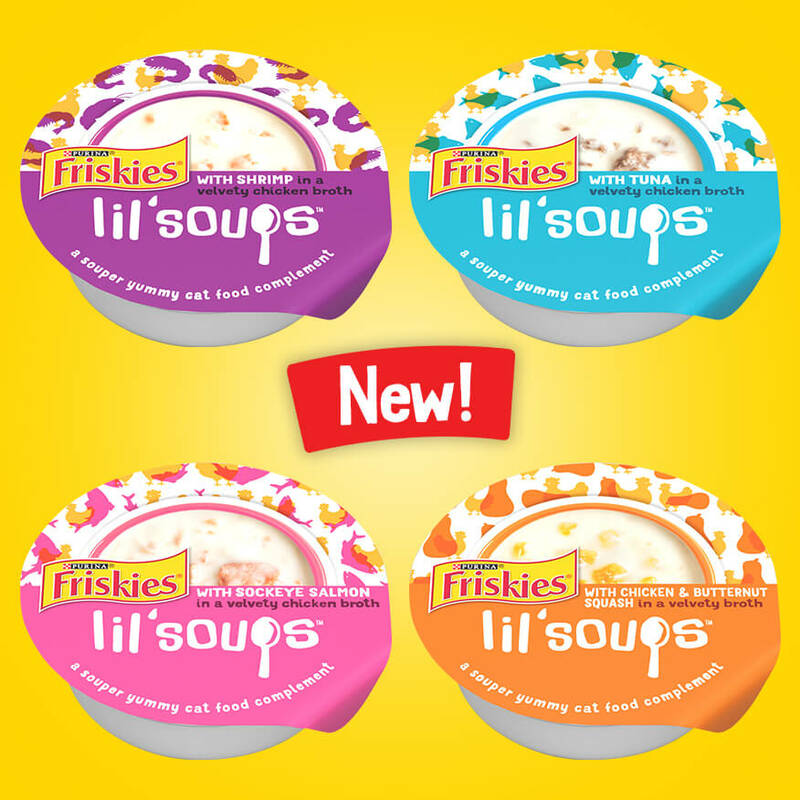 Get free Sample of NEW Friskies Lil’ Soups! Get one of four delicious varieties for FREE, and get a SOUPER coupon for your next purchase of Friskies Lil’ Soups. Your cat will definitely be adding it to your shopping list. varieties and one (1) coupon for $1.00 off the purchase of any four (4) 1.2 oz cups of Friskies® Lil’ Soups™, any variety.